Why do people knock communism? It’s not a bad idea! From each his ability, to each his needs. It works great among my family and friends. We don’t keep tabs on who bought the last round of drinks, nor do we charge each other for rides to the airport. It. Just. Works. Funny how it always seems to end in disaster when employed at a national level. I think it’s fair to say that communism is a perfectly reasonable economic system; it just hasn’t gotten over some scaling challenges. Communism, but on the blockchain. Kidding. Intra-family/friends transactions aren’t really communist — they’re governed by an informal accounting system with reputation as currency. This was common in elite circles throughout antiquity. The economy of the Roman Republic revolved around amicitia, or mutual serviceability. It’s how the wealthy maintained business interests all over the Mediterranean despite living in a state of quasi-perpetual war. Existimatio, or reputation, dictated whether a person was worthy of receiving beneficia. Reputation was earned by engaging in liberalitas, or generosity, gratia, or gratitude, fides, or trust, and benevolentia, or benevolence. Anthropologists sometimes refer to this as a moral economy; a system governed by customs and social pressure in the absence of formal regulation. The number of participants in a reputation-based moral economy tops out at our ability to maintain persistent social relationships, also known as Dunbar’s number. China’s rolling out a nationwide social credit system that assigns scores based on things like littering and helping old people. A handy app helps citizens identify nearby deadbeats so they can be properly shunned. We may not have the cognitive capacity to remember a nationwide network of amici, but computers do! 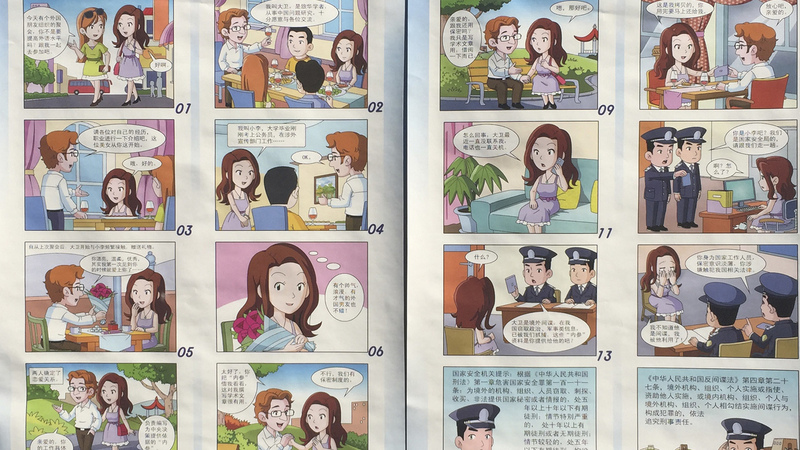 The Cultural Revolution and a communist history of encouraging citizens to snitch on neighbors has turned China into an exceptionally low-trust society. The rationale behind social credit is to restore a culture of trust. Seems counterintuitive — a moral economy based on amicitia is predicated on the idea that participants *like* each other, or at least pretend that they do. Information overshare tends to reduce likeability. Nevertheless, the surveillance will continue until morale improves. Koenraad Verboven. The Economy of Friends: Economic aspects of amicitia and patronage in the Late Republic. 2002. The most interesting thing about those passages is how the Apostles enforced the requirements of their communism directly in those passages. Look up and read subsequent paragraphs. I was not familiar with that passage, thanks! Can you provide a higher-resolution image of the Chinese propaganda, or a link to it? I’d like to read it, but I can’t recognize the characters well enough at this scale. I wouldn’t be surprised if Beijing is cribbing Silicon Valley here. The West has its own massively scaled reputation systems– and they’re great! Who doesn’t love reading a thousand reviews on amazon, ebay, or yelp? But I think Beijing is missing a piece that makes these systems so effective. When you read a Yelp review, you’re not just trusting PhoReal420. You’re choosing to believe in the authority of Yelp itself. Maybe you trust their commitment to comment moderation, their corporate mission statement, or they just have really strong brand equity because you’ve seen that logo in every restaurant window. If Beijing attempts to move trust from the fuzzy interpersonal realm to the state, they’re just asking everyone to trust the state. But hey, if the communist party has more goodwill than Yelp it could be a slam dunk!